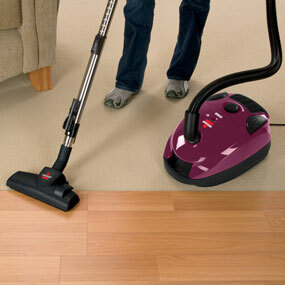 The Shark Rocket TruePet Upright Vacuum thoroughly cleans bare floors and deep cleans carpets. 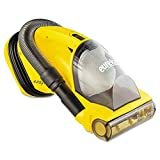 Weighing about 8 lbs., this lightweight vacuum has advanced swivel steering, a removable dust cup, and 2x the capacity of the original Rocket. It’s extremely maneuverable and provides amazing cleaning performance without losing suction or power. 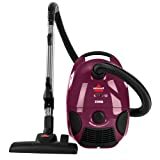 Not only is this vacuum great on floors, it turns into a handheld vac, which allows for easy cleaning above floors, and when cleaning stairs, and furniture. Its slim design and handy wand are also perfect for reaching under furniture or high narrow spaces. The high output LED lights on the nozzle and hand vac illuminate the work area so you can easily spot the hidden debris. 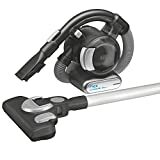 The vacuum includes an extensive number of accessories including the Duster Crevice tool, a pet/upholstery tool, a flexible hose, a TruePet Motorized Brush, and the Dust-Away Hard Floor attachment that are durable and can also be stored on board. Better yet, it has a generous 30-ft. power cord. You cannot go wrong with The Shark Rocket TruePet Upright Vacuum. It provides versatile floor-to-ceiling cleaning with the quick release foot pedal, is portable, and has multiple storage options. 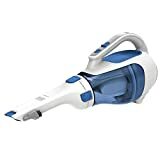 The black+decker HHVI320JR02 Dust buster cordless lithium hand vacuum, magic Blue, is ideal for multipurpose cleaning in your home, garage, auto, boat. The lithium technology provides strong suction and extended run time. It has a washable bowl (20.6Oz) and filter which allows for thorough cleaning between Jobs. The translucent, bagless dirt bowl makes it easy to see dirt and easy to empty. This vac has a rotating nozzle for a comfortable hand position when accessing hard to reach areas, along with an extendable crevice tool that provides access to hard to reach areas and a flip-up brush which allows you to dust and vacuum upholstery. The cyclonic action helps to keep the filter clean and suction strong. 2.0 amp hours. This vac has a lightweight and portable design which makes for convenient cleaning. A wall mount provides a versatile storage solution. Includes: hand vac, Jack plug charger, wall mount, extendable crevice tool, flip-up brush. This Never Loses Suction, Never Loses Power vacuum cleans as well as a full-size upright without all the weight of one. It cleans bare floors and deep cleans carpets. Swivel steering provides the ultimate control to get in and around obstacles and furniture. The versatility of this vacuum allows for floor to ceiling cleaning. Use the wand to reach high above or between narrow spaces. Use the handheld like a hand vac to clean stairs and furniture. The slim design is also great for cleaning under furniture. Includes a crevice tool, pet upholstery tool, dusting brush, Dust Away with microfiber pad and home and car detail kit. This corded vacuum is portable and easy to store. Two powerful settings for all your floor needs. Deep cleaning carpets by removing embedded dirt, and gentle on bare floors and delicate area rugs. Hold the dust cup over the trash and press the bottom door release button on the front to empty. Quick release wand for extra reach when cleaning above floors. Comes with a 12 Inch Standard Crevice Tool, Upholstery Tool, Dusting Brush, Dust-Away Hard Floor Attachment with a Microfiber Pad, Car Detail Kit, Wall Mount, and Accessories Bag. Lightweight at about 8 lbs. 204720-01 Features: -2 tier radial cyclones. -Ergonomically fits into the shape of the hand. -Suction power: 100 AW. -Run time: 20 Minutes. -Charge time: 3.5 hours. Color: -Nickel, red and purple. Material: -Plastic. Dimensions: Overall Height - Top to Bottom: -8.2". Overall Width - Side to Side: -5.7". Overall Depth - Front to Back: -15.6". Overall Product Weight: -3.4 lbs. 2 Tier Radial cyclones increase airflow and capture more fine dust. Max power mode provides 6 minutes of higher suction for more difficult tasks. A lightweight and steerable Never Loses Suction upright with a unique detachable canister for powerful and portable cleaning anywhere, anytime. The Lift-AwayTM features a large capacity, bottom-empty bagless dustcup and Anti-Allergen Complete Seal Technology that traps over 99.99% of dust and allergens inside the vacuum. Swivel steering provides complete control to easily maneuver under and around obstacles and furniture. The motorized brushroll can be turned on or off, providing superior performance on both carpets and bare floors. Features premium pet tools, including a pet power brush, dusting brush, and a short and extra long 24" crevice tool for versatile cleaning throughout the home. A generous 25 foot long power cord makes easy work of cleaning large areas. What are the benefits to cleaning with the BISSELL Zing Bagged Canister Vacuum? BISSELL Zing bagged canister vacuum makes any cleaning task seem effortless. The lightweight design and carry handle provide portable convenience. The Multi-Surface Floor Nozzle allows for easy cleaning of carpet, rugs and bare floors. The telescoping wand allows you to comfortably maneuver around and under furniture and also clean hard to reach areas like drapes and ceilings. When you are finished, the cord will automatically rewind with the push of a button. Canister vacuums are low to the ground vacuums that have a long hose with a wand on the end. As you clean through the hose and wand, you pull the canister unit behind you. Upright vacuums stand tall and have a handle, which is used to push the vacuum. When cleaning carpets, the debris is removed through the foot or base of the unit. Most uprights also have a hose and on-board tools, which are typically used for hard to reach places and when cleaning furniture.At one time, canisters were thought to be easier to use for cleaning hard to reach places and for cleaning a larger variety of floors surfaces. However, the uprights of today have added cleaning features, such as bare floor height adjustments, brush roll on/off switches, and are easily maneuverable. In addition, the on board cleaning tools have made upright vacuums even more versatile.Although uprights are easier to use and more effective at cleaning larger areas in the home, they can still be a challenge when cleaning stairs. Which type of vacuum is better -- bagless or bagged? Neither type of vacuum is “better” than the other. A bagged vacuum will lose its cleaning effectiveness as the bag fills with debris. The bag must be changed when it is about 1/2 to 2/3 full for the best cleaning performance. The choice between a bagged and bagless vacuum really depends on your personal preference. Finally a cordless vacuum that does it all; from floor to ceiling and everything in between, the 20V MAX* Lithium Flex Vacs with Floor Head offers limitless versatility. Choose between the four foot extendable hose, the new stick vac attachment with pivoting floor head, or the Pet Brush attachment. 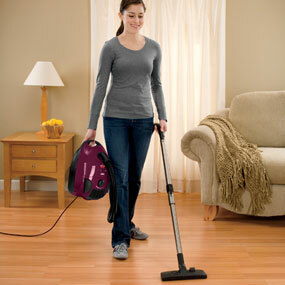 Having an optional stick vac attachment makes this the ultimate in portable and multi-functional vacuuming. No longer just a simple hand-carried vacuum, the Flex Vacs provide easy clean-up; high or low, in the house or car, and on any floor surface – wood, tile, carpet, rugs, etc. The compact design and lightweight yet powerful 20V MAX* lithium ion battery, makes it easy to take the Flex straight to the mess. This Flex Vac features a removable, washable bowl and filter for thorough cleaning. Included with the Flex is a charging base with tool storage, a flip-up dusting brush, a crevice tool, and the stick vac attachment with pivoting floor head. It also features a Pet Brush that makes cleaning pet hair a breeze. Each of these attachments and extensions helps get in to hard-to-reach areas like under the table, in between car seats, stairs, ceiling fans, etc. The always -ready and convenient 20V MAX* Lithium Hand Vac is perfect for handy cleaning anywhere and anytime. The cyclonic action and strong suction of the 20V MAX* Lithium Hand Vac make cleanup easy and fast. This unit also includes a Pet Brush that's ideal for cleaning up after the family pet as well. The 20V MAX* Lithium Hand Vac has a charging station that keeps it at the ready and also provides a base for storage. This vac is cordless, portable and ultra-compact so you can tackle chores without lugging out your vacuum. Cyclonic action spins dirt away from the filter to help maintain performance, and the 3-Stage filtration system prevents dust and debris from escaping for clean air exhaust. The 20V MAX* Flex comes with a rubberized pet hair brush attachment that makes cleaning up after Fido a cinch. It also features a removable, washable bowl and filter for thorough cleaning. Included with the Flex is a charging base with tool storage, a flip-up dusting brush, a crevice tool, and the stick vac attachment with pivoting floor head. Each of these attachments and extensions helps get in to hard-to-reach areas like under the table, in between car seats, stairs, ceiling fans, etc. Other types of batteries fade and lose suction, making it difficult for users to complete their cleaning task before running out of power. Instead, Lithium Ion batteries offer strong suction and fade-free power throughout their use. Users will now have confidence that they can complete tasks quickly, efficiently, and conveniently with this new collection of handheld vacuums. The 20v MAX* Lithium Hand Vac has a quick charging base that keeps the unit charged and accessories organized. Simply place the Flex Vac in its stand to charge. 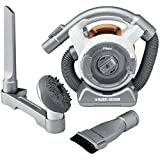 (1) Vacuum with 4 ft. flexible hose, (1) Stick Vac floor head, (1) Pet Hair Brush, (1) 2-in-1 nozzle/brush tool, (1) long crevice tool, (1) charging base, (1) Washable filter (model PVF110). 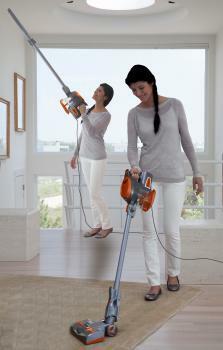 The Shark Rotator Professional Lift-Away features three vacuums in one. This powerful upright, portable Lift-Away, and convenient canister make vacuuming quick and easy on both carpets and bare floors. You’ll find this vacuum completely versatile. It’s armed with swivel steering to maneuver around furniture, features a power nozzle with LED headlights, and includes a brush roll on/off to provide superior performance. The Rotator also features Anti-Allergen Complete Seal Technology + HEPA filtration to trap 99.99%* of dust and allergens inside the vacuum. Combined with two foam filters, this dust containment system helps keep allergy-causing agents from releasing back into the air. Additional accessories include a pet power brush, crevice tool, canister caddy, straight suction nozzle and a wide pet upholstery tool. An extra-long 30 foot long power cord allows you to clean larges spaces easily. It is even exceptionally quiet, so you won’t disrupt your household either!